Royal LePage has partnered with brand leaders in their respective industries to offer you exceptional products and services that support your business. Helping you is what we do. BMW Group (BMW and MINI automobiles) is pleased to provide their Fleet program discounts to agents and brokers of Royal Lepage in Canada. The savings, which are above any Retailer discounts, can range from $500 to $2000. Teldon offers calendars you can customize to suit your style. Avis offers Royal LePage low negotiated rates, special discounts and outstanding time-saving products and services on both business and personal rentals. BRAND DRIVEN MEDIA is pleased to offer nationwide service and discounts to Royal LePage agents and brokers for all your Car Wraps & Office / Building signs. Tiffany & Co. offers Royal LePage an opportunity to mark special client milestones including closing gifts, holiday, birthdays, referrals and more with a gift from Tiffany & Co.
Do you have a firm deal and want to access your commission prior to closing? Commission Capital is delighted to offer Royal LePage agents commission advances that are offered at competitive rates. Equifax is Canada’s largest source of consumer credit information. By analyzing and providing access to credit, bankruptcy, mortgage and fraud data on over 24 million Canadian consumers, Equifax solutions can help you make sound marketing and risk management decisions. Provide your clients and prospects with exclusive access to significantly discounted new flooring and installation services at more than 540 locations across Canada. DocuSign is the official preferred eSignature partner for Royal LePage agents and Brokers. The DocuSign Professional eSignature solution is available at member-only pricing and is backed by industry leading technology. Royal LePage has teamed up with GoodLife Fitness to offer significant savings on yearly memberships for all GoodLife clubs across Canada. Not all Home Inspectors are trained, licensed or insured the same. As a Royal LePage Agent, you can TRUST Canada’s largest Home Inspector to support your clients. A Buyer’s Choice is a Preferred Supplier of Royal LePage, and focuses on building long-term partnerships that go above and beyond conducting thorough home inspections. Your clients can use our exceptional home services to get their home ready for sale. From junk hauling, painting, moving, and house detailing, we’ve got everything covered, inside and out! Help them out by offering them amazing discounts on these great services with your special promo codes. Save money, generate new revenue and improve documentation workflow efficiencies with Canon Canada’s technology-leading office imaging equipment. Royal LePage Carriage Trade agents and sellers can benefit from our partnership with Who’s Who in Luxury Real Estate – a global network of over 130,000 luxury real estate professionals. VitrineMedia is a pioneer and world leader in LED display solutions. As experts in remarkable window, wall and mobile displays, we create inspiring and engaging illuminated LED panels to power your brand, marketing messages and window listings. e-Z-Max offers Royal LePagers an innovative and global solution that simplifies and streamlines the work procedures of Brokers and Realtors. One platform, multiple tools: accounting, back office management and paperless solutions such as electronic document management and e-signatures. TD Mobile Mortgage Specialists help your clients not only with competitive rates and the most innovative selection of mortgage features available but they work your hours – days, evenings and weekends. 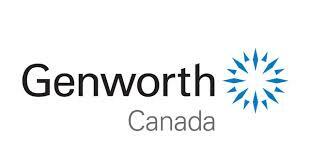 Genworth Financial Canada, The Homeownership Company, is the leading private sector supplier of mortgage default insurance in Canada. Genworth works with lenders, mortgage brokers, real estate agents and builders to make homeownership more affordable and accessible throughout Canada. MoveSnap, a moving concierge service, is pleased to offer your clients personalized assistance to help them plan and organize their move. As an extension of your team, MoveSnap will take the heavy lifting off you, allowing you to focus on your next deal, while providing a stress-free experience for your client. Save time and money with Canada Post’s Express Order Entry and target Neighbourhood Mail to your farm area. Buying or selling a home for a client? Want to stay in touch with past clients? …Give them the best surprise by sending them a case of exclusive wine delivered to their new home. NexOne’s Electronic Document Management (EDM), Transaction Management (TMS), electronic signature solution and accounting solution gives brokerages and agents the ability to manage their business efficiently while effectively reducing costs and becoming paperless. SecureShare is a content sharing and collaboration workspace designed to improve productivity. Sync, share and access data anytime, anywhere from any device and access via Webforms. Medcan is Canada’s largest professional healthcare clinic dedicated to preventive medicine and wellness. Access these services through a state-of-the art facility located in downtown Toronto or through Medcans affiliated clinics located in major centres across Canada. 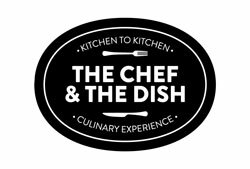 Rated “Best Gift for Foodies” by SavvyMom.ca – The Chef & The Dish Gift Certificates are a perfect gift for the new home buyer (or a gift for yourself!). Experience your new kitchen in a whole new way – Skype in a chef from Italy, Japan, Spain and beyond into your home kitchen for a private, 1:1 cooking class – just you and the chef. Lone Wolf Technologies is the North American leader in residential real estate software. Our technology is made for real estate brokerages to help with their back office, transaction management, front office, and websites. All of our programs work together to provide brokerages with an end-to-end suite of technology solutions, which in turn helps them save time, lower costs, and impact their revenue. We’re honored and proud to say our technology is used by over 10,000 offices and 500,000 real estate professionals in Canada and the US. Schedule a demo today! DISCover What Works specializes in helping agents and teams improve their performance by hiring the right people and optimizing team interactions. 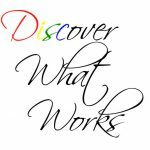 DISCover What Works provides premium DISC consulting services including job profiling, candidate assessments, team building workshops and coaching. BombBomb is pleased to help agents and brokers of Royal LePage build trust, convert leads, generate referrals, and recruit team members through simple video with tracking for smarter follow up. Royal LePage has teamed up with Videolicious: an app that enables you to create and edit custom, pro-quality video from your mobile devices, in a matter of minutes! Click here to learn more and to take advantage of the exclusive Royal LePage rate. Zoom is the leading provider of secure video communication services, featuring flawless video, integrated audio, wireless content sharing, and instant chat. Take advantage of an innovative new way to gift your clients with something they’ll really appreciate. Royal LePage is now a participant in the Whirlpool Canada REALTOR® Program. Use this tool regularly to thank your clients for their business with home appliance purchase promotions that will keep you top of mind.